Unemployment Compensation Law is probably the only area of law that each and every business, from the sole proprietor to the largest corporation, has to be involved with. Many businesses owners consider it a “have to pay expense” that can not be controlled and many, if not most, employees see unemployment as a benefit they have earned or deserved. Since the majority of hearings are conducted by telephone the hearing participants, both employers and claimants, fail to recognize the formality of the hearings and that rules of evidence as well as statutory law do apply. The foregoing is not helped by most, if not all, state unemployment agencies advertising that attorneys are not required and that participants can represent themselves. In spite of the foregoing, unemployment law is a highly technical area that can have serious consequences for both employers and employees. From the employer’s perspective unemployment benefits are mostly seen as a tax. However, the consequences of a claim for benefits and the “employer’s protest”, “appeal Hearing”, or other actions which follow the employer’s receipt of the claim can be far reaching. The wrongful categorization of someone as an “Independent Contractor” can result in an audit of an employer’s full account. That audit can result in a challenge to all of the employees compensated on a 1099 and if the state agency concludes that their categorized independent contractors are actually employees for the purposes of unemployment then the employer can be looking at back taxes along with penalties and interest on previous payments. Looking beyond taxes we can accept the premise that not all discharged employees go quietly and some file claims based on allegations that the employer somehow treated them fairly. Directly or indirectly – the responses to an unemployment claim, whether a phone call with the state, the filing of documents with the employer’s initial protest, or, the appeal hearing itself, an employer can inadvertently influence a discharged employee’s claim. From the employee’s perspective unemployment benefits are seen as something they are entitled to. Many employees believe that they paid for these benefits out of their check and don’t understand why they have to prove anything in order to get what they paid for. Since the state websites say that they (the employees) do not need an attorney most of them enter a hearing unprepared and are confident that once they judge hears their story they will get their benefits. This author couldn’t guess at how many calls that he has gotten from an employee right after their hearing and being told ”I didn’t know the employer would have a lawyer, the judge wouldn’t let me tell me entire story, or, there were too many rules”. After getting a losing decision many employees call and state that the judge didn’t understand them and didn’t listen, when in fact the judge did – it’s just that the employee did not know the law and what the judge was looking for. For employee’s with attorneys representing them at these hearings, these attorneys often try to collect information or elicit testimony that can be used to support actions arising from the discharge. Although proper objections can control this, attorneys or employer representatives who are unfamiliar with the law generally have a hard time recognizing either what is transpiring or what the proper objection is. Regardless of whether you’re because you are arming yourself with more knowledge on behalf of an employer or employee all of the information can be used by either side during the appeal process and appeal hearing. Each state may differ in vernacular and clearly the statutes will differ, but the concepts are transferrable too all of the states. If a presenter is talking about employees and you’re here for an employer– listen because that information is useful to you in two ways. First, you should always know what the “other” side is thinking. Secondly, you can use the same concept in representing an employer. This program is an excellent opportunity for attorneys, HR personnel and cost control managers to develop an insight to the world and mechanics of unemployment insurance/compensation. 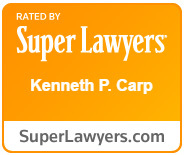 The Law Office of Kenneth P. Carp, PC (www.kcarplaw.com) has assembled an experienced Judges and attorneys who will discuss the intricacies of filing or responding to a claim, participating in an unemployment hearing, protecting an employer’s account, to using information garnered during the unemployment compensation process. This program will dispel the myths that unemployment is both an uncontrollable cost to the employer and an entitlement to the employee. Helpful tips on how to prevail during the unemployment compensation process will be explored in addition to how either the employer or employee uses the unemployment process for post termination purposes. Employers who work with third party actuaries will learn how to leverage those relationships and attorneys for employers and claimants will be exposed to useful tactics during the unemployment process. This program is for and about you. At any juncture, feel free to ask questions. After the program, participants can contact Attorney Kenneth Carp, Lt. Col. (USAF, retired) at kennethcarp@kcarplaw.com with questions or experiences that they might have. Attorney Carp has conducted hearing throughout the country and would welcome the opportunity to be a resource for you. (g) State Information Database Exchange System (SIDES), UI Integrity laws and state error rates reports. Federal-State unemployment programs provide unemployment benefits to most workers who are out of work without fault to themselves. The fault referred to varies by state by state laws and as further solidified through case law. Federal law provides guidelines under which each state creates and administers its own unemployment program. Eligibility for unemployment insurance, benefit amounts and the length of time benefits are available are determined by the State law under which unemployment insurance claims are established. Although many employees believe that they pay for unemployment for themselves, this could not be further from the truth. In the majority of States, benefit funding is based solely on a tax imposed on employers. Three States require minimal employee contributions. The misconception among employees is that unemployment benefits are automatic and something that they, the employees, pay for. This misconception is a factor when some employees quit, because they believe that they automatically get unemployment compensation. A thought for employers, although it has to be done in a positive manner, is to educate employees that unemployment is something that is not automatic and not something that they, the employees, have paid for. Employees who understand that unemployment is not automatic might not spiral out of control and lead themselves down the path of being terminated or quitting if they knew the truth. Unemployment benefits are meant to be a temporary benefit to unemployed workers who find themselves unemployed through no fault of their own (as determined under state law). In certain cases, the foregoing does include an eligibility for unemployment benefits when a worker quits. A misperception among some employers are that workers who quit are not entitled to benefits. This misperception causes some employers to either (i) not provide a “protest” or other adverse response to a filed claim for benefits, (ii) appear at a hearing, (iii) or have the wrong witnesses participate in an unemployment appeal hearing. In addition to meeting the proper triggering requirements for unemployment (ie: unemployed due to no fault of their own as determined by state law), workers who file for benefits must also meet their state requirements of (i) adequate wages worked during an established period of time referred to as a “base period”. For most states the base period is the first four of the last five completed calendar quarters prior to the filing of a claim. In addition to meeting base period requirements and being unemployed through no fault of their own, workers must file a claim, remain continually eligible, seek work and not do anything to result in a disqualification. The filing of a claim, in most states, can be done by phone or over the internet. Once eligible, a worker continues to receive benefits until eligibility is terminated as a result of (i) benefits being exhausted, (ii) failures to report job searches or respond to requests from the State, (iii) an unsuccessful appeal hearing, (iv) excess earnings or new employment, (vi) a number of other causes. Generally, benefits are based on a percentage of the worker’s earnings over a 52 week period up to a state maximum. In most states the maximum period to receive benefits are for 26 weeks. During high periods of unemployment the government may elect to provide “extended benefits”. Unemployment is an expense to the employer. Generally it is based on wages paid and the employer’s claim rate (successful claims filed by former workers and funds paid out on behalf of the worker). The higher the claim rate generally means a higher tax rate (percentage) that the employer will pay. Some employers wrongfully accept the unemployment tax or contribution as an uncontrollable cost, however, the unemployment expense is a cost that employers can control. Ways to control the tax starts with an efficient “back room” where the paperwork is done. Ensuring that state reports regarding employees is a key. Not opening and reacting to the mail is a very common reason that unemployment expenses are higher than they need be. Not recognizing that a claim has been filed and that the employer has a limited time to “protest” or challenge the claim can prevent the employer’s ability to fight the claim. Some unemployment claims get lost within the employer’s company while accounting sends the claim to HR who then sends it to the discharging department for an opinion as to whether they want to fight the unemployment claim. Often the question is answered to late. Often the decision on whether to file a claim or not is made without any knowledge or understanding of what makes a successful claim for an employee. As an example, many employers decide not to fight a claim because the employee quit and the “state will deny the claim”. A knowledgeable employer is aware that an employee can quit and still receive benefits. An experienced employer knows that some ALJ/Referees see a “quit” as a discharge” and require the employer to prove why the discharge should warrant the denial of benefits. Here’s an idea for employers: why not protest or challenge every claim? Not all employees follow through with the claim process and a simple challenge on your part can result in the denial of some claims without having to appear at any hearings! How about as a part of the discharge or termination procedures the decision maker complete a simple form as a part of the separation package which address what the employer wants to do about unemployment even before the claims is made. This form can prevent the back to front room shuffle wherein claims get lost and this form can create a corporate memory of what happened in case supervisor, managers, or others are not in the picture when a claim is filed. By doing this for employers, I am able to the increase the success rate in fighting unemployment claims in a number of ways. Many employers believe that hearings can’t be won or that participating in them is not worth lost productivity or the expense of participating. The foregoing is just not true. There’s an old saying that the definition of “insanity is doing the same thing the same way and wanting a different result”. I am aware of two major and national employers who have had an extremely low success rate for years. Yet, they continue to approach very hearing the same. To the contrary, another major corporation increased their success rate to nearly 90%. They didn’t change how they discharged employees. They changed their approach to hearings. Having the same EXPERIENCED attorney or hearing representative who has been TRAINED on the LAW and hasn’t merely just “done” a lot of hearings” is a great start. When the same attorney or representative repeatedly works with the same contacts and witnesses then that contact can become a learning experience on how to perform better the next time. Not all attorneys or hearing representatives assigned by third party actuaries are equal. Some are appointed by the actuarial firms solely based on price and kept because employers do not complain. The number one disliked attorney by officials at one State Department of Labor handles a huge number of cases for an actuarial firm. Although employers like his/her personality this personality contest has not resulted in winning appeals. Employers who use actuarial firms should exert the power of choice as to who represents them. Other employers should recognize that there is a handful attorneys like Art and I who represent a large number of employers and conduct a huge number of hearings on an affordable basis. Employers should also recognize that almost all attorneys know nothing about unemployment and “winging” it does not work. Workers generally view unemployment benefits as a benefit which they are entitled to. Many believe that they pay into a fund which finances their unemployment and it should be illegal that a “company can deny them their benefits”. See everything wrong in the last sentence: (1) the company is not in control of the funds and (2) it is not a benefit or right as a result of working. The first misconception only enhances the disappointment over the loss of a benefit, but the second has a greater impact. Since it is perceived as a benefit, there are many workers who decide that it is better to receive unemployment then stay at a particular job. So, some quit and find themselves surprised that they have to fight for benefits. Some allow themselves to get fired because they believe that unemployment is there as a safety net. The point is that workers allow their belief that unemployment is a guaranteed right to influence their decision regarding active employment. Countless times I have heard “I wouldn’t have quit or put me job in jeopardy if I knew I wouldn’t get unemployment”. Employers reading this should know that a more educated work force can increase your employee retention rate. This of you who are employee based should know that there are many factors that go into a decision to award unemployment compensation. For both employees and employers, unemployment is neither a decision that should be made in isolation of other decisions. The unemployment claim process remains one of the simpler government processes. Depending on the state the employee has a number of options on how to file, including the filing over the phone, in person, or, on-line. General information such as date of hire, date of discharge, wage rate, title and duties is often solicited. Questionnaires are completed by the individual seeking benefits and there are “seemingly” simple questions asked. I say “seemingly” because those of us who are knowledgeable on the law recognize the questions as soliciting the information from which a legal determination can be made. Questions like” what reason were you given, do you agree with the reason, was there a policy, did you know the policy, and, etc., all lay the groundwork to see if the statutory requirements which would allow the award of benefits. On the employer’s side – once the employer receives a notice that a claim has been filed they have a limited amount of time to file a challenge to the claim. Although the time frame to challenge the claim may be weeks – it’s a lot shorter than you think. Employers who use third party actuarial firms will have to wait until they receive the claim from them and then the employer has to find the right decision make within the company. Employers who perform these functions in-house often allow the paperwork to sit in a pile until they get around to it and in a number of cases the decision is put off until someone returns from vacation or a certain position is filled. Once time passes, your challenge is not allowed unless you are in a state which allows one of the issues at an unemployment hearing to be whether there is just cause for allowing an untimely challenge. Employer’s get to provide their state with the basis of why a claim shouldn’t be denied. Employers who use actuarial forms may complete a survey and have the actuarial submit it without any review. This is a mistake for many reasons. Often it is completed by an HR or accounting person without any knowledge as to what happened. Secondly, it generally includes unrelated and sometimes harmful information to the employer. I have seen surveys which have included information which would strengthen a discharged employee’s claim for wrongful termination or a similarly related claim. Employers who submit their own responses often make the same mistakes. Recognizing what justifies the denial of benefits would enable the employer to provide a meaningful response to the original claim filed by a former employee. Although mistakes made in the original claim and response can be remedied during the hearing process – why create a hurdle if you do not have to? In determining whether to approve or deny a claim the state may call as a part of a fact finding mission in order to learn more. The state calling should not be taken as a sign of the merits of your position. Those “seemingly” simple questions do not always provide enough relevant information. Not returning the state’s call leaves the state void of the information necessary to make a decision in your favor, often, resulting in your later having to file for an appeal to the decision when that appeal could have been avoided just by answering the phone. Employees who do not respond to the state’s calls have potential benefits delayed by weeks or months. Employers who do not respond can find themselves addressing the economics of attending an appeal hearing. Every step of the unemployment claim process can result in a decision adverse to your interests. Learn the process and treat it seriously and allow the claim to be decided on the merits and or a technicality! The initial decision regarding a claim for benefits is made after the state received the claim, questionnaires, challenges and fact finding. In many states this initial decision is called a “deputy’s determination”. An appeal to a decision must be made within a limited amount of time. Missing the time requirement can result in either a total loss of rights or create another hurdle at a hearing. Employees need to keep their addresses up to date and employers must read their mail and react in a timely manner. Employers who did not challenge (protest) the initial may not notified of the determination and may not have a right to challenge the deputy’s determination. States such as Missouri approach like this – “if the employer does not protest the claim then they are not a party to the claim process”. The initial determination will contain instructions for the appeal process. Generally it is simple as sending a fax or mailing in an appeal. I opt for sending a fax since you will have a fax confirmation showing receipt by the state. Keep in mind – no matter how efficient the state might be, the state receives tons of paper every day and all that paper gets touched by several hands. The appeal generally does not have to say more than “I appeal because I disagree with the decision”. Many employees hurt themselves immeasurably by writing volumes about their years of abuse with employer, how the employer is unfair, or, how the employer should go to jail. Writing too much and talking about irrelevant material can only hurt an appellant (the person filing an appeal). Not only do employers include irrelevant information they also take the appeal as a time to vent and disparage the former employee. The goal of the appeal is simple – to get a hearing. Was the claimant discharged and if so for misconduct …? Did the claimant quit and if so was it attributable to …? Did the claimant violate special provisions of the law regarding drugs, or, …? Was an appeal filed on time? As a timely challenge (protest) made …? Is the employer an interested party? I xxxx xxxxx disagree with the decision. I had a phone conference that I felt they did not let me explain everything that happened. I feel like I was not treated fairly on the decision Please review the documents I sent. As you can see, this appellant was disappointed that the ALJ wanted to focus on the law and what the judge felt was important and did not want to hear what the appellant had to say. This is not a situation unique to claimants. Employers are often disappointed that their confidence in being able to control the hearing and outcome is unfounded. Knowing what the issue is and remaining focused on that issue is the key. Employers often shoot themselves in the foot when they talked about poor performance for the three years. A history of poor performance might amount to a good business decision to terminate but it is not a reason to disqualify someone for unemployment. The fact that you filed an EEOC complaint after you were fired does not address the issue of the discharge. Listening is the key to a successful appeal hearing. The judge’s questions will tell you what the judge wants to learn. You are not going to convince the judge to ask different questions so if you want to prevail then provide the judge with the information that the judge wants. I’d speculate that there aren’t many claimants out there who know what this term means as it relates to appeal hearings and very few employer’s that know it either. Interestingly knowing who has the “burden of persuasion” is as critical to a successful hearing as having gasoline in your car if you want to drive somewhere. The burden of persuasion refers to who has to prove their point. Generally, if the employee was terminated for misconduct the burden starts with the employer. Generally, the opposite is true if a quit is the subject matter. Why was the word “starts” in bold? The burden of persuasion can be like a ping pong ball. It can shift from one side to the other. It’s is important to know who has the burden. If you are representing an employee and the employer can not meet their burden then you can chose not to put on any testimony. Knowing the burden allows you to listen to the other person’s evidence and respond with relevant evidence who either shifts the burden or causes them not to meet their burden. The correct witness is the witness who has first- hand knowledge of what happened. An employer who always has an HR or book-keeping person testify will lose most of the appeal hearings. Witnesses that only repeat what managers told them are not the right witnesses. Employees who bring witnesses to testify about work ethic or their need for unemployment do not make for good witnesses. The best witnesses is the one who can say this is what “I saw” or “I heard” . The foregoing may not always be possible, but the closer to first- hand knowledge the witness is the more valuable that witness is. The simplest preparation for the witness is to learn how to focus and listen. Shorter stories and shorter answers are the best. Words cloud the evidence. Listen to what the judge or other party is asking and give a very brief answer. The judge or other party can ask you to expand your answer to cover what it material. Important information can get lost in lengthy and irrelevant information. Unemployment appeal hearings appear to be informal and are not. Judges follow the law and certain rules of procedures. These rules include rules of evidence which govern what evidence can be introduced at a hearing and knowing how to exclude the other party’s evidence can be a key to prevailing. As a quick resource I have enclosed a reference to common objections. Probably the most common objection in an unemployment appeal hearing is hearsay which is most simply defined as something you don’t know first-hand but you are repeating what someone else said as being the truth of the matter being asserted. Most judges allow great latitude in listening to hearsay and allow the testimony to go to the determination of credibility more than fact. 9. No good faith basis for the question. Unemployment hearings are a great source of sworn testimony and information. Employers really should be careful as to who they have testify and especially so if the employer does not have an attorney representing them. Claimants who are considering the pursuit of claims arising from their discharge can solicit testimony during an appeal hearing that can advance their causes out of the unemployment arena. There are major corporations who send inexperienced managers or co-workers to hearings. They also send individuals who aren’t afraid to speak their mind about the discharged worker. The risk associated with this can be minimized or eliminated. In fact, employers can get a leg up on these kind of claims by using the information they obtain during these hearings. Either party losing an unemployment appeal hearing can pursue further options. The appeal’s decision will contain the time-line and procedure for having the decision reviewed. Generally, new evidence is not allowed at the next level and the next level is generally trying to determine if an error was made at the appeal hearing. Again, the procedure is so simple to have this review initiated but generally there is little meaningful thinking that goes into what to provide in your request. You have to say more than I disagree or the judge didn’t listen. You have to direct the reviewing authority to your destination. a. According to the US Department of Labor, Overpayments are a rampant problem in the unemployment insurance system. The federal government and states overpaid an estimated $14 billion in benefits in fiscal 2011, or roughly 11% of all the jobless benefits paid out. Now, the U.S. Department of Labor and the states are in the midst of a massive effort to try to recoup some of their lost funds and avoid future overpayments. b. Many UI overpayments, which could be prevented by receiving timely and accurate information, negatively impact employers’ bottom lines. Chances are that 1 out of every 10 claims was erroneously charged to the employer’s account! How much did that cost your company over the past several years? c. As your company’s only controllable tax, your unemployment tax rates go up and/or down based on experience. Therefore, even if you received a favorable decision on a claim but were charged erroneously and did not catch the mistake, it will be detrimental to your new rate calculation. d. It has been estimated that $1.00 in UI benefits paid out this year will cost your company $1.20 in future year(s). The various state tax rate tables must capture more tax than actual benefit charges paid out. Why is this cost so high? iii. U.S. Department of Labor estimates an average of 15.5% of all UI benefits paid are non-charged to Employer’s, therefore bringing in a socialized cost element to the current unemployment system. a. Background – As early as 2005 the state unemployment agencies began monitoring the problems created by employers and their agents who submitted inadequate and/or late responses to unemployment claim forms. Wisconsin was one of the early states to independently establish a penalty (denial of relief from charges), beginning in 2006, on employers who submitted late or poor responses. Exacerbating the problem was the fact that some third party administrators had instituted the practice of responding to unemployment claims in an automated fashion, providing very little detail. b. Governmental Response – An Executive Order from President Obama in November of 2009 addressed the need to reduce improper payments in major federal programs including unemployment compensation. On June 10, 2011 the U.S. Department of Labor issued a DOL Program Advisory to all state unemployment agencies, notifying them that the DOL was “making an immediate call to action to all state administrators to ensure that UI integrity is a top priority and to develop state specific strategies to bring down the UI improper payment rate. The solution to the “separation issues” problem was to incentivize employers to make better responses to the state UI agencies upon receipt of an unemployment claim form. Several states had already taken independent action by 2011, including Arkansas, Colorado, Georgia, Illinois, Kansas, Kentucky, Michigan, Nevada, Tennessee, Texas, and Utah. Three of these states (Colorado, Kansas, and Nevada) had already enacted legislation providing that an employer that has failed to submit a timely or thorough response to a request for information has waived their status as an interested party and has lost the right to appeal the determination. To address this issue on the national level, the Trade Adjustment Assistance Extension Act of 2011 included provisions affecting relief from charges on UI claims. The provisions were contained in Section 252, entitled The Unemployment Compensation Integrity Act of 2011, or “The UI Integrity Act.” This bill was unique in that it imposed a federal standard on matters relating to benefit charges and experience rating, which had historically been relegated to state policy and law. The UI Integrity Act prohibits state UI agencies from granting relief from charges to an employer’s UI tax account when unemployment benefits are overpaid and when the overpayment results from an employer (or the employer’s agent) failing to respond timely or adequately to a request for information by the state agency and when, at a minimum, the employer or agent has established a pattern of failing to respond to such requests in a timely or adequate manner. Similar federal legislation had been introduced as early as 2006, with no success. This time the UI provisions were inserted in the Senate, and received no attention in the floor debate about the bill because of the other major policy issues addressed in the bill.The UI Integrity Act gave states a two-year window to enact legislation consistent with the new federal law. State legislation was generally required to be in place by October 21, 2013.
c. Status Quo – Most states already have conforming legislation in place. As of July 30, the U.S. Department of Labor was waiting on only DC, GA, MA, MI, MO, PA, PR, VI, and VT to confirm that the required provisions have been enacted. October 22, 2013 was the date that federal law required all states to charge employer tax accounts for erroneous UI benefit payments that could have been avoided had the employer submitted a better claim response and, at a minimum, the employer has established a pattern of failing to submit adequate or timely claim responses. The idea is to give employers a monetary incentive to provide complete, thorough, and timely information upon receipt of a request for information from a state UI agency. An employer that fails to respond to a UI claim in a manner that satisfies the state and federal standard must be denied relief from charges if the claimant is eventually disqualified upon appeal. This can be a hefty penalty, because it may take ten to twelve weeks before an appeals decision is issued and the erroneous payments stop. This represents a third to a half of a maximum-duration claim. Each state was required to develop its own definition of what it means to establish a pattern of failing to respond timely and adequately. Some states have enacted laws that are considerably more severe than the federal requirement. For example, relief from charges may be denied after only one occurrence of an inadequate or late response. Hawaii enacted such a provision in April (effective October 1) and Connecticut enacted such a provision in June, also taking effect on October 1. Idaho legislation enacted in March provides that two occurrences constitute a pattern of failure. Virginia legislation signed in April establishes that a pattern of inadequate responses exists if there are four occurrences in a four-year period. In a unique provision, the Virginia bill also requires a $75 penalty after the third occurrence. A more reasonable approach has been taken by Indiana in legislation enacted in May. This bill provides that a “pattern of failure” means a repeated and documented failure by an employer to respond to requests for information, taking into consideration the number of failures in relation to the number of requests received by the employer. When relief from charges is denied because of a poor claim response, the benefit charges are included in future UI tax rate calculations for the employer, and this can easily result in tax payments that are higher than necessary. It has always been sound business practice to focus on providing a complete, detailed response to the initial UI claim, and to include supporting documentation. This avoids unnecessary appeals that can be costly in terms of time spent by supervisory personnel. Whether your company manages this process in house or with a TPA, it is imperative to provide effective claim responses in the most efficient way possible, given your organizational structure. This joint effort has been made even more critical by the UI Integrity Act. d. Understanding the UI Act – Here is an example of how the provisions of The UI Integrity Act come into play. An employee is discharged for misconduct and files a claim for unemployment benefits. An initial claim form is mailed to the employer but the employer fails to respond with information regarding the reason for separation. For this reason, the claim is approved and benefits are paid. The employer receives a determination indicating that benefits are approved, and the employer decides to appeal the determination. An appeals hearing is held, and the appeals decision ultimately disqualifies the claimant. In the meantime 10 or 12 weeks have elapsed since the time the claim was filed, and the person has received benefits erroneously during this time. Even though the claimant has been disqualified, the employer’s UI tax account will remain charged with the 10 or 12 weeks of benefits that have already been paid, if there is a finding that the employer (or the employer’s agent) has established a pattern of failing to respond timely or adequately. The bottom line is this: when unemployment benefit charges are assessed to an employer’s tax account, such charges are used in future tax rate calculations and are likely to raise the employer’s tax rate for one or more years in the future. The resulting increase in tax payments generally exceeds the amount of benefit charges. The denial of relief from charges is invisible at first, because it does not affect the tax rate for the year in which the penalty is imposed. However, the impact over time can be quite substantial, costing potentially several thousand dollars in increased taxes. a. SIDES is the State Information Data Exchange System. Quite simply, this is an electronic tool to help employers respond to state unemployment insurance (UI) requests quickly, easily, and accurately. According to UISIDES.Org, The process is much more efficient using a standard set of questions for every state and every unemployment claim. Because the information is sent in a secure, electronic fashion, it ensures the protection of sensitive employer and claimant data. In addition, receiving the request for information on day one rather than waiting for it to arrive in the mail provides additional time for third party administrators (TPAs) to gather the appropriate separation details. b. This initiative is part of a collective response by the states to address the previously mentioned issues facing employers today. Responding to paper-based unemployment insurance (UI) information requests fully and within tight deadlines creates a significant and costly administrative burden on companies today, putting a strain on the bottom line. This problem is compounded for employers and third-party administrators (TPAs) with operations in multiple states, since – until recently – no single national standard existed to help states and employers easily and electronically exchange key information about UI claims.